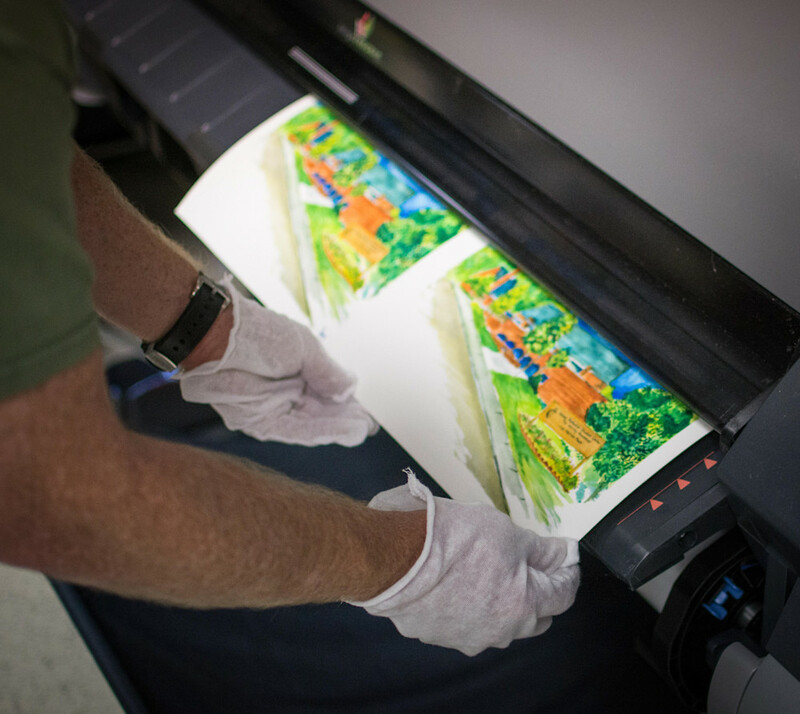 Ever been curious about the early life of your print before it becomes part of your home? To help you out today we’re going to tell you all about the birds and the bees. Are you ready?! So, you click order (birds) and we receive your order (bees). Done. You can stop reading now. J/K! J/K! Your print gently falls from the printer into the print-friendly hammock below the printer. We then grab your print by the edge attempting to never touch the actual image. A lot of times your print will be curled because we are printing on rolls of paper. So the next step is usually de-curling the print. Essentially we are curling it the opposite direction in order to flatten it. Once it is flattened we place your print(s) in an acid free protective sleeve before attaching it to chip board and placing it in your mailing package. Why do we attach it to chip board? To help with rigidity and protect that happy baby. Gotta protect your babies. They dent so easily. If you’re in a hurry to get your print and we are rushing a bit (which is totally cool with us) we will place your print in the acid-free sleeve with a piece of standard bond paper to help the image out-gas before it gets to you to go in your frame1. One question we have for you is… ‘how long are you going to store your print before framing or hanging?’ If it is going to be a while2 we recommend requesting a backing board at checkout. This is going to give your print rigidity and hopefully prevent an ‘uh, oh’ moment for you. We’d hate for you to be forced into ordering the same print twice. Unless you want to of course. Another great reason for getting a backing board is if you’re an artist and you plan on immediately selling your product or shipping it straight onto your client. We’re here to help make your life easier. Remember? If you’re going to store this print indefinitely we’d recommend you store your print as we send it then sandwiched between acid-free foamboard. After all that, baby is placed in the shipping container, driven to the shipping facility and placed in their hands to be delivered at your happy door. 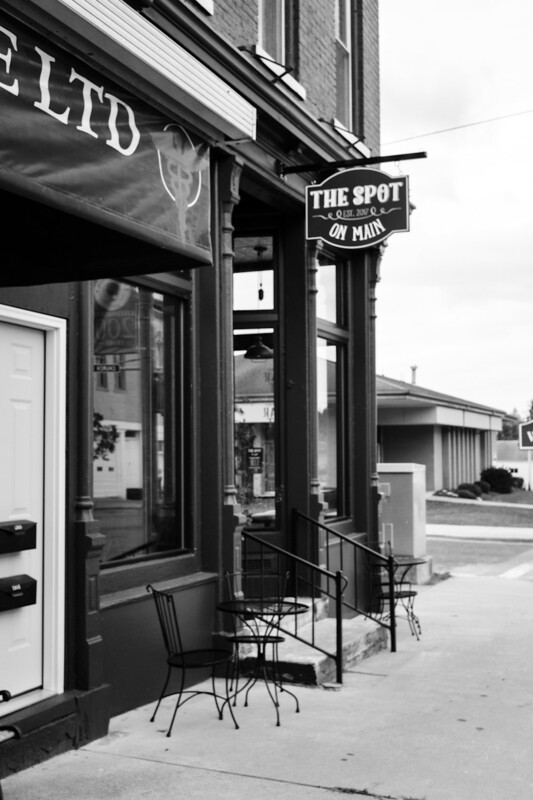 We recently had the opportunity to work with The Spot on Main in Jackson, Ohio on a really neat project. You’re going to like this one! Read on for all the sweet details! We just love making new friends, don’t you? A few months ago, we made a great new friend when we met the super talented Matt Day1. And then a few weeks back, Tony had the opportunity to go help Matt hang a show of his work in Jackson, Ohio2. (You may have tracked that adventure on our Instagram story. Tony documented the whole thing.) While he was in Jackson, he made ANOTHER new friend. I know – how lucky are we?? Turns out our newest friend – Jenny Massie – was about to open a very cool coffee house. The shop is called The Spot on Main, and it is Jackson’s only coffee shop. Check them out if you’re ever passing through Jackson! Well worth the visit. So, anyway, Jenny was about to open The Spot on Main, and she had an idea for a photo installation for a large wall in the shop. Jenny and Tony decided to work together to make her idea a reality, and what a reality it became! We are so psyched we had the chance to work on this project. Next we brought out the big guns: we printed on matte adhesive vinyl, and added textured lamination on top. Then we applied the vinyl to ½ inch black Gatorplast3. Whew! 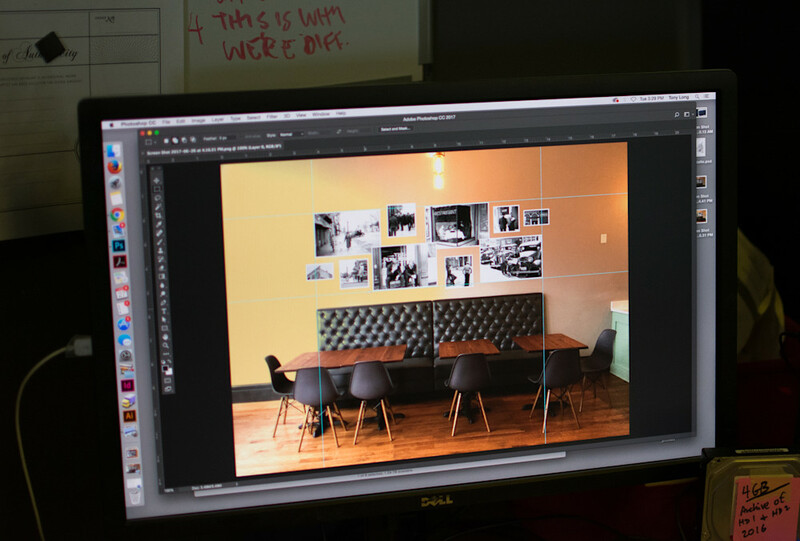 After we printed, laminated, and mounted these beauties we used additional pieces of Gatorplast and 3M adhesive to give the photos different levels of dimension from the wall. This really made the grouping feel super dynamic. We love this project, and we are super happy to have made a new friend in the process. 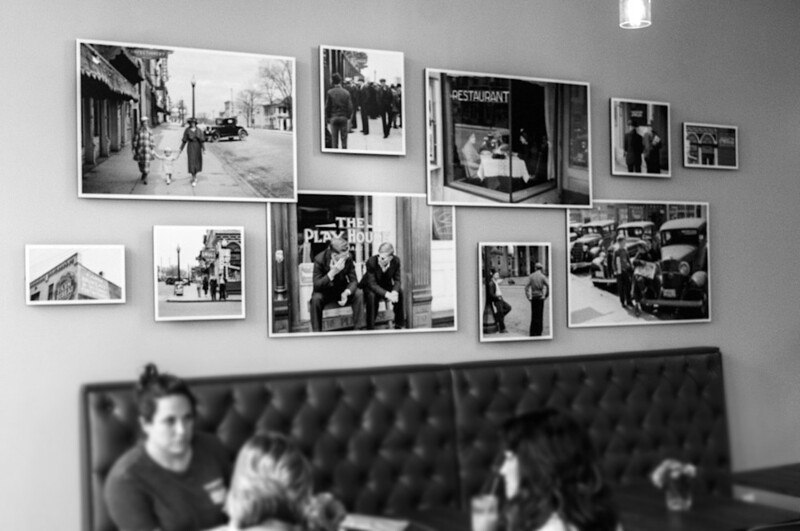 We are told that people come into The Spot, look at the photos, and say “Oh wow, I think that’s so and so.” or “That’s my grandfather!” and we think that’s so neat. They are really cool historic photos. The Spot on Main is located in a historic building in a really cool historic town4. Even the name “The Spot” has history – ask Jenny Massie about it when you’re in town. All in all, we are really glad to have been a part of this. Thanks Jenny – and best of the luck with your new business. We predict great success! If you watch carefully in Matt’svideo about his show, you can spot Tony a few times! Cameo! Gatorplast ispretty legit. We think it’ll hold up nicely. Jackson (also known as “the salt lick town”) has apretty interesting history.